Now How The HELL Did This Happen? 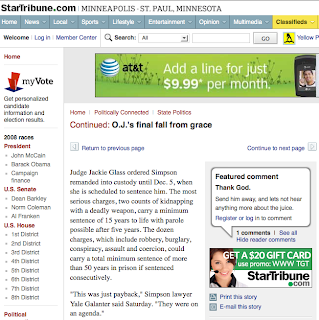 So I was checking around to see where my latest OJ pieces are popping up on the Internet and it turns out an analysis piece that runs in Sunday's New York Times also appears on at least the Web site of the Minneapolis Star-Tribune. Except one rather shocking alteration. That's an accurate quote, as you can hear for yourself because I posted the raw audio of the Galanter post-verdict press conference in our podcast feed. You can click here to hear it. This comment comes up within the first two or three minutes. "This was just payback," Simpson lawyer Yale Galanter said Saturday. "They were on an agenda." WHAT!??!? That's completely, utterly not what this man said. And, also, he said it Friday night, not Saturday. Somebody needs to lose their job. This is a journalistic nightmare. TMZ is trumpeting as an "exclusive" something that not only isn't exclusive but is unbelievably old. They got ahold of a statement from Fred Goldman's attorney David Cook that Mr. Cook sent around en masse to reporters BEFORE the verdict yesterday. He sent us statements for either outcome, guilty or acquitted. But TMZ posted this as "exclusive" a full 13 hours after the verdict. Wow, that's impressive. Shows you what they're capable when they're not buying the news. I know many of you never cared much about this case. But I go back to what I said from the start. The potential for exactly this outcome - the most famous murder defendant of our time going to prison for effectively the rest of his life - required media attention. The first line of his obituary was just torn up and rewritten and I was there. Not a bad gig. GUILTY! GUILTY! GUILTY! GUILTY! GUILTY! GUILTY! GUILTY! GUILTY! GUILTY! GUILTY! GUILTY! GUILTY! I am in shock over this verdict. I was on Papa Joe Chevalier's show on Friday predicting Simpson wouldn't get any jail time! Oops. The most famous murder defendant of our time is now locked up on a stupid, tawdry, worthless crime with weirdo "victims" who don't even consider themselves victims. 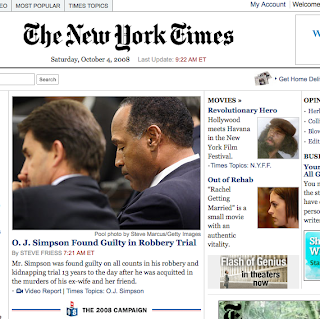 And 13 years to the day after he was acquitted. What a wild story, wild symmetry. 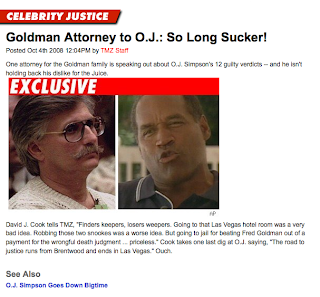 The first line of OJ Simpson's obituary was just rewritten. Here's my New York Times piece. And you can hear the 15-minute press conference from his attorney, Yale Galanter, by clicking here. Right-click here to download it and listen to it whenever you wish. It all came down about 11 p.m. PT, so we couldn't get it into the newspaper. So guess who gets to get up early Saturday and work on something for Sunday? 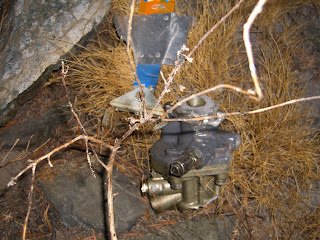 So yesterday, they found Steve Fossett's plane and maybe a bit of his remains and the jury got the O.J. Simpson armed robbery case. I handled both simultaneously for The New York Times, earning myself two bylines on the same page. Kinda cool. Here's my Fossett output, and here's my Simpson piece. Now here I am (literally, see me to your right appearing to pimp for Aquafina) waiting for that very O.J. verdict as well as the verdict in the case of who gets to use the Plaza name. Hard to believe, but both trials took the same amount of time and now both verdicts are coming on the same day -- or not! Since I'm in this holding pattern, I've already written and filed the piece to go up on the Times website when we know there's about to be an OJ verdict. We'll be getting two hours notice on that. We'll add and subtract material from that framework once the verdict occurs and the various players become available to talk about it. Meanwhile, I've got to read Tony Curtis' autobiography over the weekend. I've got the print exclusive on the book and interview the legend next week for a major paper. Podcast listeners will get to hear that interview the following week after the article appears. All this has made me -- and evidently everyone in the media -- forget that it was five years ago today that illusionist Roy Horn was attacked by a tiger on stage. Even Norm Clarke of the R-J acknowledged Roy's birthday today -- yes, he was attacked on his birthday -- but didn't realize the anniversary. Here's my 2003 report on the incident from the Chicago Tribune and Boston Globe. Oh, did I mention I've had a massive headache for several days? Such a trooper. Here's this week's piece, breaking a story of a prospective gay and lesbian hotel-casino and condo on the Strip. Andrew Fonfa doesn’t want me to write this. He knows I have to, he knows I want to, but he also wants us to know that everything in this column is entirely speculative. This is a real-estate story, after all, and there is absolutely nothing in this awful real-estate era that is predictable. Yet it’s also a story of a potential social revolution and, in that respect, cannot be ignored. If Andrew Fonfa and his lesbian sister, Gudren, pull off what they’ve long hoped and dreamed, they will have rocked the travel market and redefined a piece of Las Vegas in a profound way. So let’s get right to it: The Fonfas want to build a $1.2 billion, 1,000-unit, 45-story hotel-casino catering primarily and openly to gays and lesbians and managed by the Wyndham hotel chain. It would boldly be called the Q, as in “queer.” And it would stand tall and proud by early in the next decade at the northwest corner of Sahara and the Las Vegas Strip as the first of its kind in the world. Ordinarily, I wouldn’t cover something so iffy. I don’t have enough fingers and toes to count the announced Vegas development projects that have died. And the Fonfas themselves insist this one may never come to fruition, either. But they also have earned a certain credibility that makes what they say and do matter, having already built the 41-story Allure Las Vegas on the same corner as the maybe-future Q. The only other folks who have completed such condo buildings on the Strip are MGM Mirage and Trump, which puts the Fonfas in good company. And Andrew Fonfa, who is not gay, already operates a casino in Indian Springs and has owned the Sahara-Strip property for decades. The Fonfas haven’t formally announced the Q plan largely because there’s no telling when the American credit market will dig out of its crater. But they’ve begun to quietly spread the word. Comic Bobby Slayton talks about why Hooters asked him not to say certain words and tries -- somewhat unsuccessfully -- to explain why his use of derogatory words about gays is not offensive. Plus, a wacky Top Secret Tourist Tip of the Week. Click on the date to hear it or right-click to download the show and listen whenever you want. Or subscribe via iTunes here or via Zune here. There is a fine line in comedy between being Don Rickles and being Michael Richards. Somehow, comic Bobby Slayton has carefully negotiated that complicated path, spicing his act with stereotypes, insults and foul language while never actually sparking any widespread controversy. Slayton, who appears nightly at the Hooters Hotel-Casino, joins us this hour to explain how he does it and what it may have cost him in career opportunities. In Banter: The Lion King is coming, Donny & Marie are here, the Believe theater, a poker whippersnapper and the OJ and Plaza v Plaza cases are still in court. Here's five more from the Mono County Sheriff's Department, including the most important image, that of the N number that confirms this was Fossett's plane. 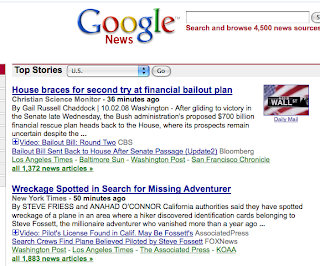 So the two biggest stories for me from 2007 are both coming to a head today -- they've found Fossett's plane AND closing arguments are this afternoon in the armed robbery-kidnapping trial of O.J. Simpson. When it rains, it pours buckets. 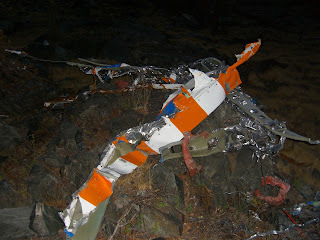 And here are five photos released just now from a daybreak search that found the plane. 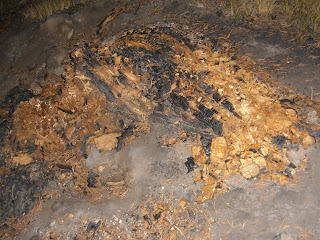 No human remains have been found yet. More to come as it develops. Gonna be a busy frigging day. And I'd be in the beautiful mountains of California right now if not for the fact that O.J. Simpson's such a weirdo. Oh well. I had a fun non-Vegas piece in The New York Times today about how candidates use/abuse the "I approved this message" line in their ads. Just something that I was noticing and turned into a full-fledged story. Check it out here. Mike Weatherford had this scoop last week, but MGM Mirage announced for real today in this press release that Disney's Lion King is setting down paws at Mandalay Bay in May 2009 instead of replacing Mamma Mia! with yet another Cirque show. You're going to read a lot of yammering about how this is part of a swerve back towards family-friendly Vegas which allegedly flamed out in the mid-1990s. And yet there's been more than enough geared to families -- four of the existing Cirque shows, all those magic shows, almost all those Broadway shows, all those roller coasters, all those animal attractions -- for some time. It's simplistic media shorthand to view Vegas offerings as one thing or another; there's no way for this city to be successful by catering to one sort of customer. I suspect this will be a pretty smart fit for all the reasons that Phantom works: Everyone knows and loves the music and story. And Lion King has one more thing going for it; while there have been tours of the show, for sure, it doesn't feel done to death. There's no place other than New York in North America to see it, either. 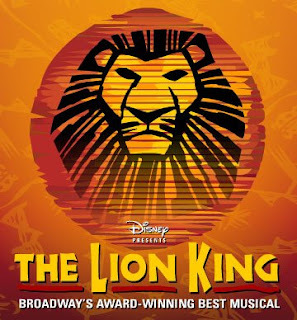 The release says: "Mandalay Bay's production of THE LION KING will be virtually identical to the other companies seen around the globe and will be staged with all of the same spectacular music, sets, and costumes that have made it a worldwide phenomenon." It's not clear whether there's any wiggle room in that statement to cut the show down from its nearly 3-hour original running time, intermission included. 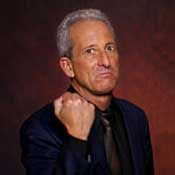 Hooters headliner Bobby Slayton is this week's guest on "The Strip." There's some wonderfully awkward moments in there as Slayton explains his use of certain gay epithets, among other fun stuff. Also, thoughts on the Criss Angel Believe theater, Donny & Marie's opening and a very, very weird Top Secret Tourist Tip of the Week. 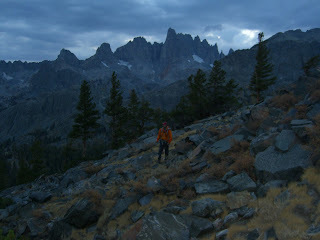 Join us from 7-8 pm PT at LVRocks.Com for the live show and chat or wait until Thursday for the podcast version. You're thinking what I'm thinking, right? This shot by David Becker was the major photo on the front of the business section of the Review-Journal today with a piece by Benjamin Spillman about concerns of FAA officials about all the tall buildings sprouting in Las Vegas. I get that this may have seemed like one of the few ways to illustrate the potential danger here which is, presumably, that planes could bump into the towers. Actually, though, the story doesn't really discuss such collisions; it's less about safety and much more about air traffic control problems and congestion which, certainly, does have safety implications. But the article largely leaves the disastrous outcome unsaid, probably because there are lots of huge cities with zillions of skyscrapers that have never seen a plane-v-building crash. Usually, it takes a suicidal maniac or 19 to make that happen deliberately. 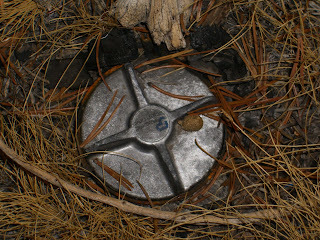 In this post-9/11 world, I found the image chilling and wondered if I was the only one. Just consider how long Becker must have spent waiting to get this faux-apocalyptic shot. Didn't someone stop and wonder how a terrorism-scarred public might react? 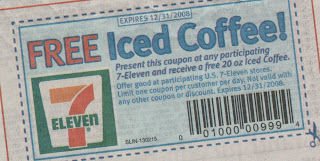 I blogged last week the coupon 7-11 offered for a 10 oz iced coffee which didn't exist. Well, happily, they fixed it, see? Woo hoo.